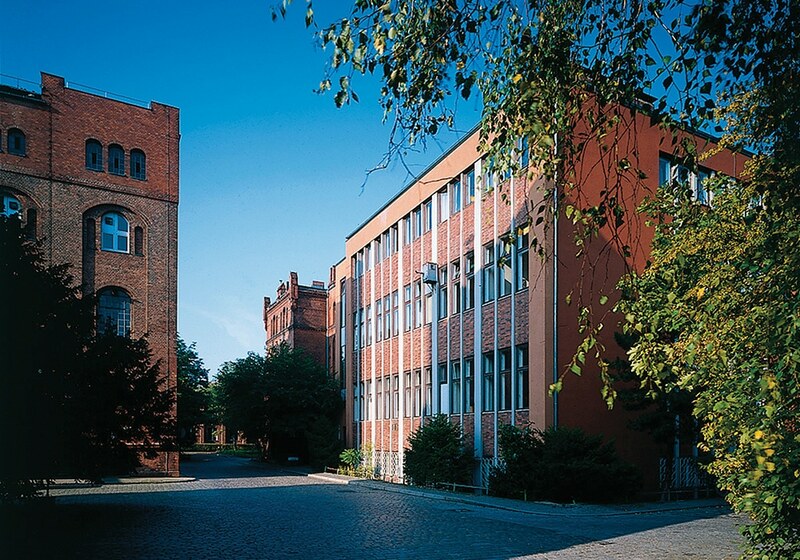 Founded in 1883, the Versuchs-und Lehranstalt für Brauerei in Berlin, VLB, (Research and Teaching Institute for Brewing in Berlin), is a private German institute focused on the brewing and malting, as well as non-alcoholic beverages, water, spirits and applied biotechnology. With a team of 145 experts and about a 100 faculty and researchers, the VLB Berlin is one of the leading internationally independent competence centres for application-oriented research, training, and services for the brewing and beverage industries, their suppliers and customers. VLB has close links to the Technische Universität Berlin, associations and institutes on a national and international level. These industry links help them continually extend their expertise for mission-oriented research, which provides support for the industry to resolve a lot of practical problems-both technical and commercial in nature. Using modern technical equipment along with higher levels of expertise, qualifications and communication capabilities of the teams, the institute offers one of the best training and research facilities in the world. They also organise national and international specialist conventions, providing a platform for an interdisciplinary, cross-company exchange of information. Covering the entire value-added chain of the brewing industry – from raw materials to logistics, VLB’s interdisciplinary approach to research ensures their solutions have high relevance to practical industry situations. In many cases, the results of this research is used as training material in training courses available for the industry as well as innovations in the industry per se. – Certified Brewmaster Course for prospective brewing professionals is a 6-months course in English that provides the basic knowledge for the technical management of a brewery. – Study programmes for brewers at university level in co-operation with the Technische Universität Berlin, which are regular study programmes for brewers (e.g. B.Sc./M.Sc. Brewing and Beverage Technology) are offered. German skills are necessary for these programs. – Workshop “Craft Brewing in Practice” A 10-day full time training course providing up-to-date knowledge in the field of pub and micro brewing, in English. – Workshop “Micro Malting in Practice”. The art of malting presented in a 6-day workshop, also in English. For industry consulting, the range of services that VLB offers covers raw materials, equipment and processes. So VLB’s Research Institute offers consulting on malt analysis, enzyme analysis and even hygiene for breweries. It also offers a large variety of yeast strains for application in the brewing, beverage and distilling industry. VLB’s Department for Water Quality, Management and Technology assists breweries in water purification, cleaning, disinfection and waste water treatment process optimisation. So VLB offers support in terms of consulting, services and technical analysis, all the way from feasibility studies/expert opinions for investment in a brewery, engineering and validation of plants and equipment, planning support with investment decision and functional acceptance checks, to status control of hygienic design of machines and corresponding equipment / CIP strategy checks, water and energy management in filling and packaging lines, recording of energy flux, validation of storage and transport conditions and even product development. With such a varied expertise and research support, VLB, with a history for excellence of over 130 years, is one of the hallmarks of technology and industry innovations support in the brewing and distilling industry worldwide. VLB’s recently held microbrewery symposium took place on the 14th of December 2016 in Mumbai, India. The MicroBrew Symposium Mumbai addressed creative brewers from India, and was focused on technological and quality aspects of craft beer brewing on a professional level. The aim of the gathering was to share brewing education to improve brewing quality and performance as well as providing a platform for networking and communication. Among the technical subjects the symposium had discussions on Microbiological sampling and testing in a craft brewery by Gayatri Mehta from VLB, Berlin, a talk on ‘Active Dry Yeast–Demystification, Concept and Illustrations’ by Philippe Janssens of Fermentis and a presentation on ‘Establishing a quality system in a craft brewery–Basic methods and options’, by Gayatri Mehta. A practice report by Gregory Kroitzsh (The Barking Deer Brewpub & Restaurant), on ‘Brewing Talent In India And The Coming Craft Beer Boom – Are We Ready?’, and a review on ‘Seven Years Of Craft Beer Brewing In India’ by Oliver Schauf, from Brewcrafts Microbrewing, Pune, was also part of the Symposium. It also had a presentation by Axel Jany of Weyermann Speciality Malt, Germany, on ‘Weyermann Specialty Malts Creating unique craft beers with the world’s widest range of specialty malts’, and a lecture on the history of beer and brewing in India. The symposium was an interesting collection of passionate brewers and brew masters in India, and the team from VLB had close interactions with many of them. She sees great potential for Indian beer enthusiasts and students who could take up brewing as a career, and VLB would be the perfect choice of institution for that.